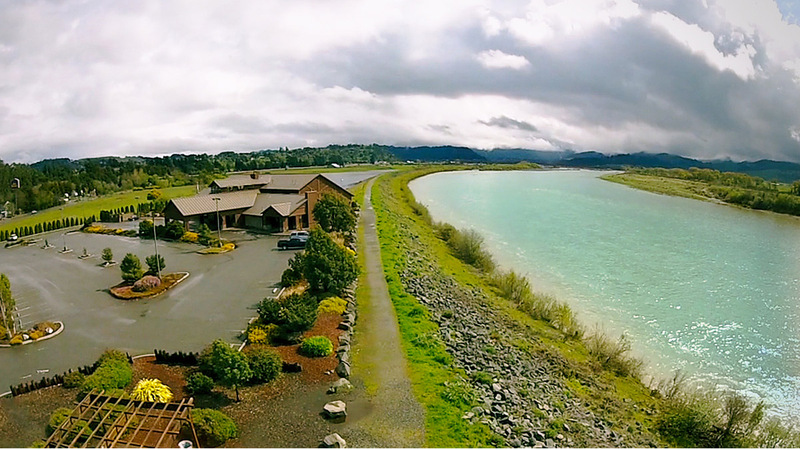 Get up close and personal with the Eel River. Check out the webcam! From the Overlook, walk or mountain bike north or south along the levee. The Overlook parking lot is located next to River Lodge on Riverwalk Drive west of the Highway 101 Kenmar Road interchange in Fortuna. The walk from the River Lodge to the Miranda’s Rescue gate and back is 1.68 miles. The Eel's placid summer flow is a stark contrast to the sometime furious and turbulent winter force. Fishing in the Eel River is a pale shadow of its former glory, but the scenery on the lower Eel River near Fortuna is breathtaking. Bright silver King Salmon leaping into the air, ducks, seals and river otters, deer, blue heron, osprey, and even an occasional bald eagle or elusive mountain lion sighting bear witness to the area's bounty of wildlife.